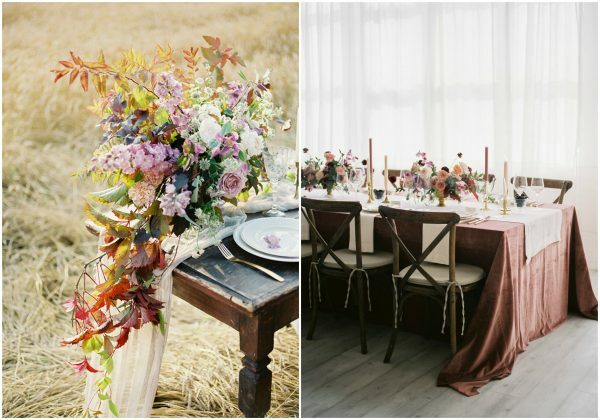 When it comes to your wedding table décor, bring the outdoors in! Use a mixture of golden, burgundy and brown leaves as part of your place settings. A calligrapher can hand-write the name of each guest on the leaves and place them on top of a luxurious napkin on charger plates. Decorate your guest tables with a soft linen table runner – add a few brushed metallic candle holders for a dash of romance. 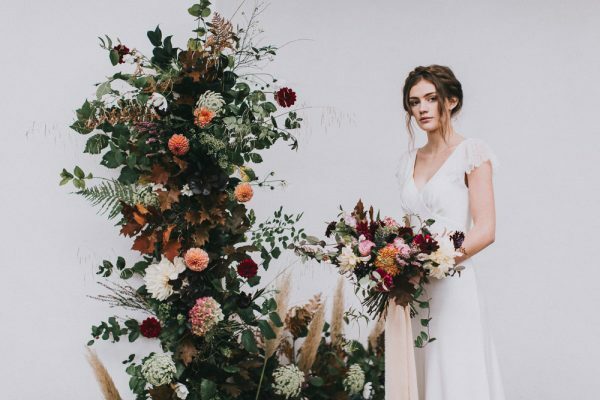 You’ll find the gardens at Pynes House are abundant with beautiful blooms and woodland, so why not decorate your Autumn wedding with lots of seasonal flowers? 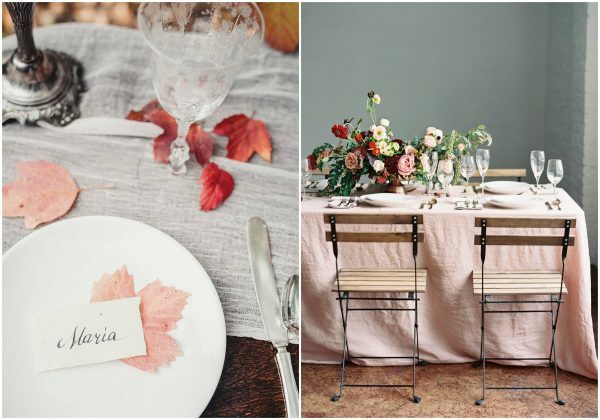 Whether you fill gilded vases overflowing with foliage and your favourite flowers or line your reception tables with elaborate displays, we can promise you they’ll look amazing for a pale Autumn wedding. Make a statement at your wedding by creating a show-stopping floral installation. You can even use it as part of your ceremony backdrop – what an amazing place to say ‘We Do’. 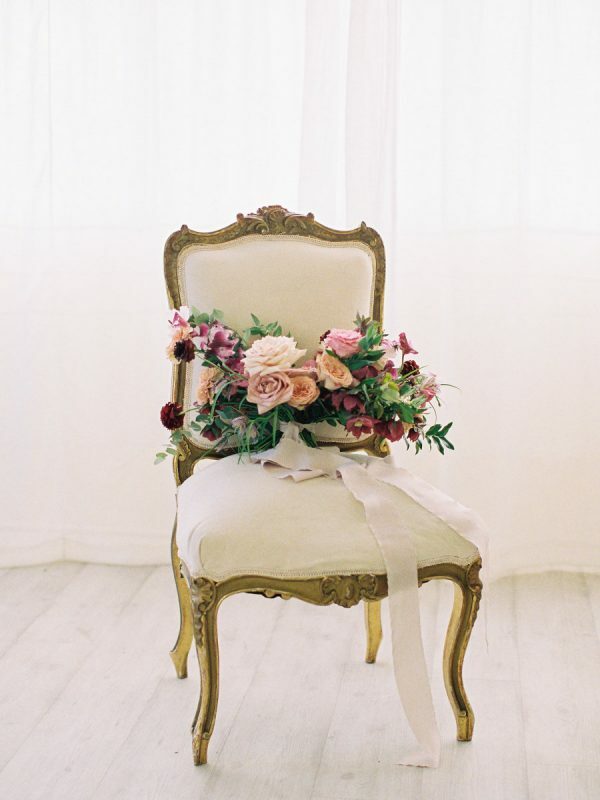 Make sure the installation matches your bridal bouquet and venue décor for a completely coordinated look. 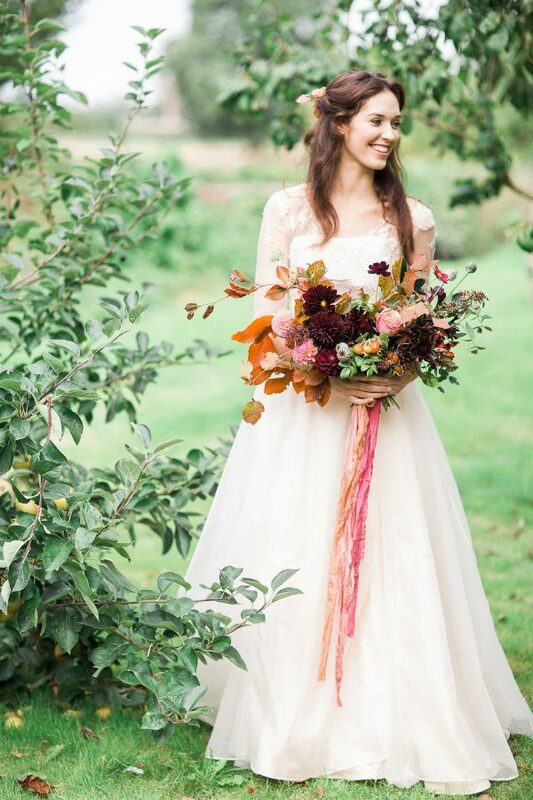 You can also easily incorporate Autumnal flowers into your bridal look. 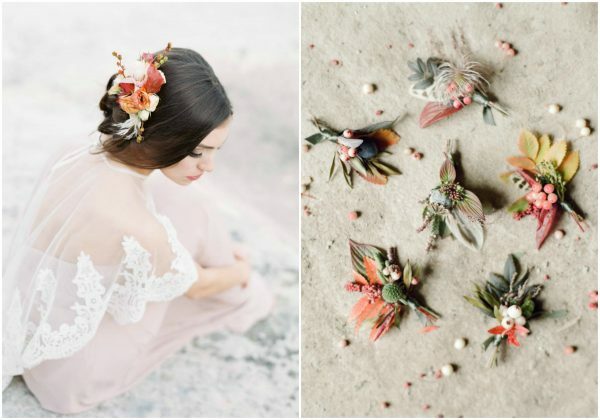 A floral headpiece featuring a variety of golden, orange and red hues will look utterly beautiful. You could even match it to the buttonholes of the groom and his ushers. 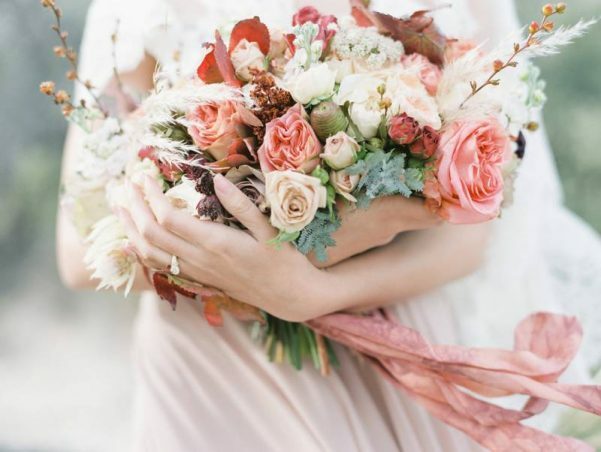 A bridal bouquet bursting with a mixture of pale peach, blush pink and dark reds will look simply stunning. Finish the look off with a luxurious velvet ribbon wrapped around the stems of the bouquet. You could also use these ribbons on your invitations, as alternative chair covers or to tie around your wedding favours. Let’s not forget about your wedding stationery! Your invitations should effortlessly reflect your chosen wedding theme and they’re a lovely way of letting your guests know what’s to come. 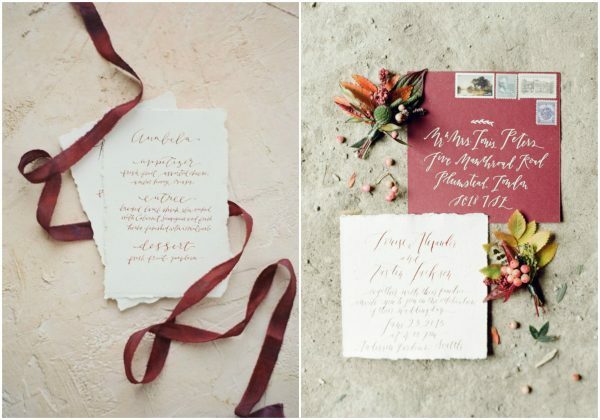 Opt for stationery in pale hues of peach, dusty blue or cranberry red. We always recommend keeping the same design throughout your stationery so that it all ties in together on the big day itself. Romantic, ethereal and totally charming, a modern Autumn wedding is the perfect fit for a wedding venue like Pynes House. Explore the grounds on the gallery or book an appointment to visit Pynes House here. View more wonderful wedding inspiration on the Pynes House Blog.